While the San Francisco Giants’ offseason has felt slightly underwhelming so far, it looks like Farhan Zaidi and the rest of the front office are starting to get the engine moving. 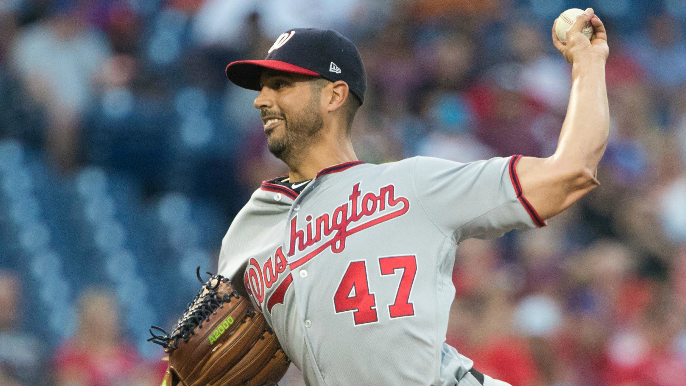 According to longtime baseball reporter Bob Nightengale, the Giants are among a small handful of Major League teams interested in free agent pitcher Gio Gonzalez. Last season with Washington and Milwaukee, Gonzalez had a 4.21 ERA and a 7-11 record on the season. With Milwaukee, however, in five starts he posted a 3-0 record with a 2.13 ERA and 22 strikeouts. In signing the veteran left-hander, the Giants would be beefing up a relatively young and untested pitching staff, with players like Dereck Rodriguez and Andrew Suarez picking up the back-end of the rotation. In addition to adding another veteran presence to the staff, signing Gonzalez would also help quell some of the concerns regarding the uncertainty surrounding the future of Johnny Cueto. For Gonzalez, he may welcome the city by the bay with open arms, as against the rest of the N.L. West for his career, he has a 15-5 record with a 2.88 ERA, his best against any division in baseball. It is also worth noting that Gio Gonzalez has been a Dodger-killer in his career with a 4-1 record and a 1.89 ERA in six appearances. Among the other teams that are reportedly interested are the San Diego Padres, Milwaukee Brewers, and Oakland A’s. Gonzalez began his career in Oakland, and made the All-Star team as a member of the A’s in 2011. Giants fans should be glad to hear any news on the free-agency front considering the pace of this offseason so far, but the potential of adding a player like Gonzalez to the roster would shoot excitement into the fanbase any season. Let’s see if Farhan can pull the strings and bring the veteran two-time All-Star back to the Bay.